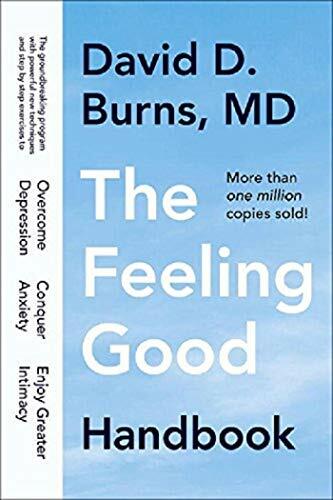 With his phenomenally successful Feeling Good: The New Mood Therapy, Dr. David Burns introduced a groundbreaking, drug-free treatment for depression. In this bestselling companion, he reveals powerful new techniques and provides step-by-step exercises that help you cope with the full range of everyday problems. With everything you need to know about commonly prescribed psychiatric drugs and anxiety disorders such as agoraphobia and obsessive-compulsive disorder, this remarkable guide can show you how to feel good about yourself and the people you care about. You will discover that life can be an exhilarating experience. From the author of the national bestseller Feeling Good: The New Mood Therapy comes a guide to mental wellness that helps you get beyond depression and anxiety and make life an exhilarating experience! • Free yourself from fears, phobias, and panic attacks. • Discover the five secrets of intimate communication. • Put an end to marital conflict. • Conquer procrastination and unleash your potential for success.